Cartographers have long divided the subcontinent known as the “Vanished Lands” (because of a Quelanthi prophecy) into four parts. 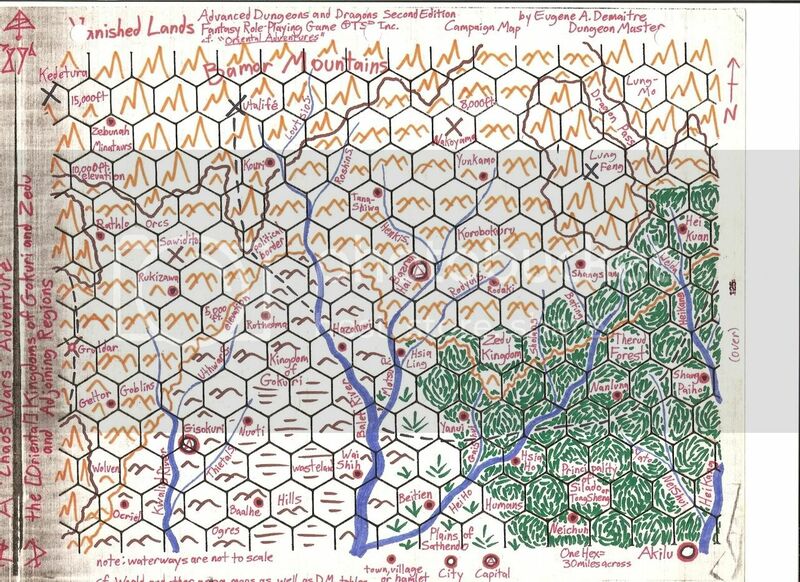 The northwestern quadrant is the familiar mix of terrains and realms of humans, demihumans, and humanoids, who are often at war with one another. The Halmed Desert takes up most of the southwestern quadrant, a land of cities buried in sand, djinn, and secretive nomads. 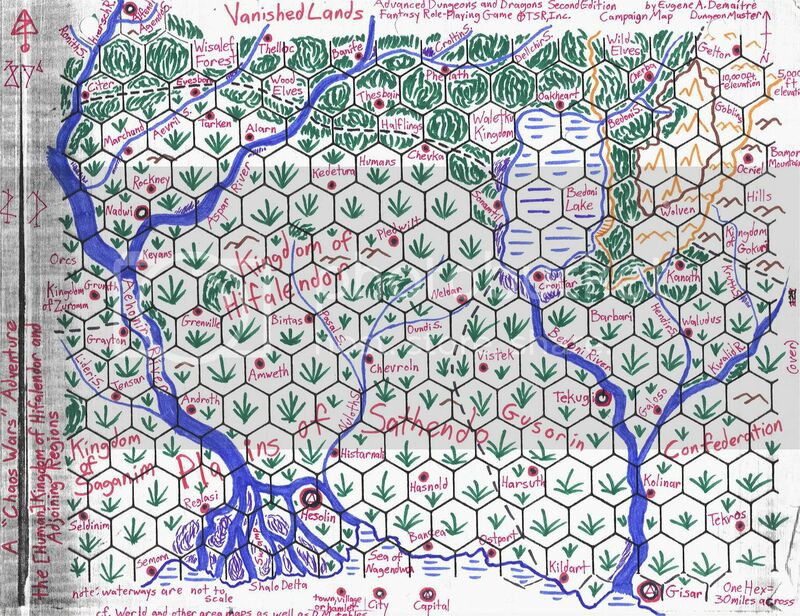 In the southeastern quadrant, across the pirate-ridden Sea of Nagendwa, are the jungles of the Zarendo Islands. Humans live alongside reptile folk there. 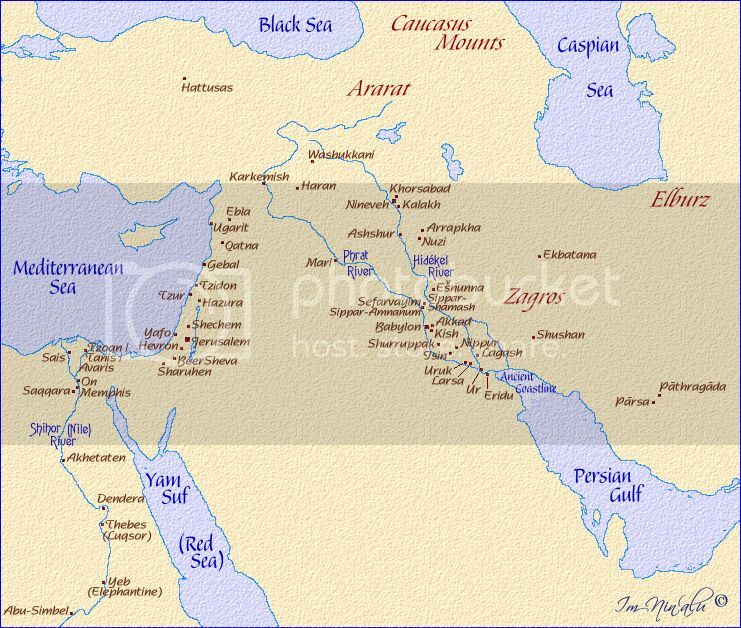 The northeastern quadrant is the fabled orient, or eastern realms. It too can be divided further into four distinct regions. Within these lands, the southwestern area includes the wind-swept steppes of the barbaric Gusorin Confederation. Small bands of Centaurs, Minotaurs, and Wolven roam the central Plains of Sathendo. In the north are the Tsucharim riders, and in the south are the Skaevingol raiders. They rarely have a single leader, and their few cities are often ruled by foreigners. The southeastern portion of the northeastern quadrant includes the swift rivers and fertile fields of Tong Sheng, also known as the Principality of Silado. Most of the honorable human clans there pay fealty to the distant Shang emperor. Orderly towns dot the eastern Plains of Sathendo, but bandits prowl between them. Some people trade with the Dimernesti, or Sea Spirit Folk, but the dreaded ghost fleet threatens all. The tall Bamor Mountains and dense Therud Forest fill the northeastern sector. The Zedu Kingdom is home to fair Spirit Folk, stolid Korubokuru, rustic Shan Sao, and more, but it is not easily reached. Last is the northwestern part of the orient, where the Bamor and Ivory Mountains meet. Beneath their snow-capped peaks dwell the cunning Nannuattan. The warrens of Gokuri are filled with Bakemono and Oni, as well as dragons and other foul beasts. In recent years, Gokuri has seized control from northern Gusorin tribes and made overtures (some friendly, some hostile) to its other neighbors. Beyond the “Vanished Lands” are humans still using bronze, giants whose steps cause the earth to shudder, and vast stretches of dangerous wilderness. The lowest social caste includes those exiled from their clans, criminals and slaves, the “impure,” and bandits acting without honor. Foreigners are often treated as one level lower than they would be at home until they earn respect, which can be acquired through deeds, money, and contacts. The next social tier includes craftspeople, merchants, and entertainers. They have risen in larger towns, and while their ostentatious wealth may resemble that of nobility, they rarely rise beyond this station. Literacy typically first occurs here, as do most starting adventurers. 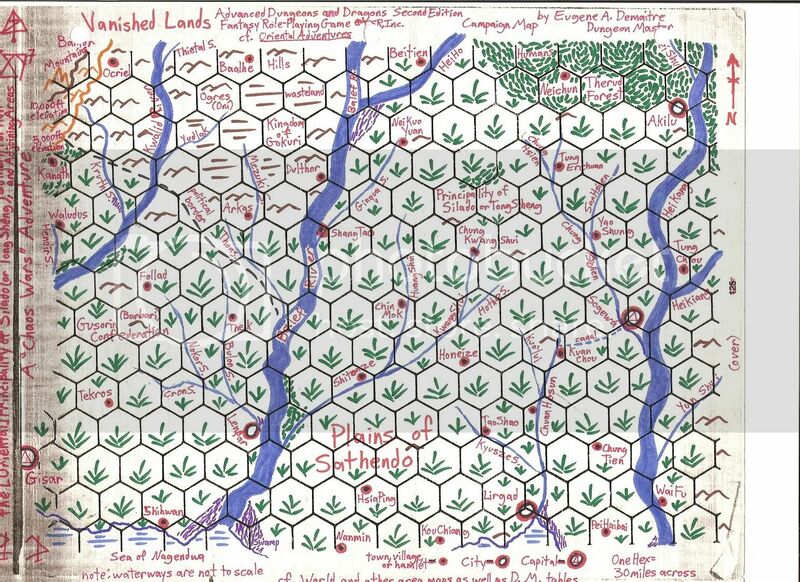 The majority of inhabitants in the Blood Current, the Coral Kingdom, the Gusorin Confederation, Gokuri, Tong Sheng/the Principality of Silado, and Zedu are peasants in small villages. Of course, there’s a big difference between a semi-nomadic Tsucharim rider, a Bakemono forager in the Underdark, and a Spirit Folk gardener or a Shengtese human farmer. Above slaves, tradesfolk, and peasants are warriors and bureaucrats. Both serve the interests of the nation above their own, and they have hierarchies within their ranks. A simple Bushi is no doubt closer to his farmer family than a general, but he can aspire to that position. Successful artisans, entertainers, or wandering adventurers are considered to be here (most are lower because of the disreputable nature of their work). The priestly class is next up, including local shamans and court Wu Jen. They intercede with the gods, hone their bodies and minds in philosophical pursuits, and sages manipulate the elements. Most arcane and divine spellcasters are expected to serve their communities, whether as healers or advisors. Like the class below it, there is some mobility here based on talent. The highest caste is the aristocracy, whose power draws from tracked bloodlines, inherited land holdings, and feudal relationships with the ruler of each kingdom. The nobles may come from any clan, and many have training from the lower levels of society. A shogun, daimyo, or other ruler might be an artist, a warrior, or a scholar, and his or her circle of counselors is expected to represent and understand how to best manage the realm. 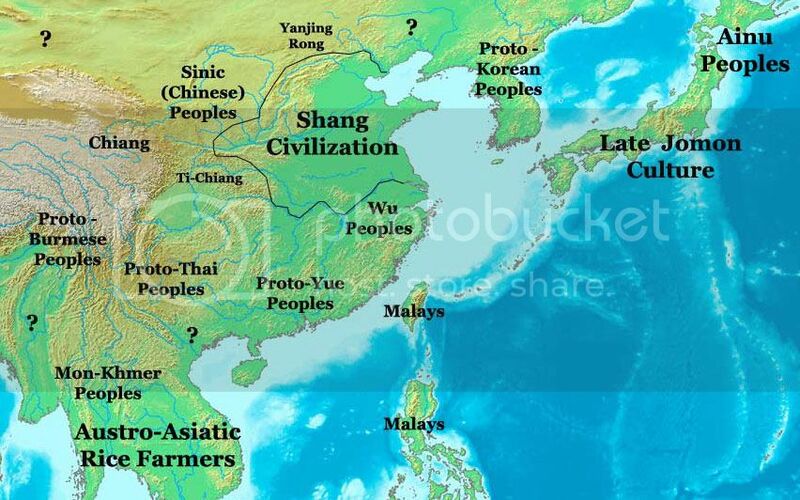 Note that the societies of the eastern “Vanished Lands” are somewhat less formal and rigid than those in later Asia. Women, nonhumans, and adventurers have more social mobility than in historical China, Japan, or India. Jesus, Confucius, and Musashi have yet to be born!